According to a few fans watching Good Morning America today, the new pros for Dancing With The Stars Season 21 will be announced TOMORROW, Wednesday, August 19th!! It’s time, All! Things are really starting to ramp up!!!! You ready? Thanks to @ndole12 for the heads up! While it seems like we’re getting a few shake-ups in the new season of Dancing With The Stars, host Tom Bergeron isn’t going anywhere (YAY!). Thanks @TeamnastiaDWTS for the heads up! Is the New Replacement Judge For Dancing With The Stars Season 21 “Michael Wentink’? Take it for what you will and we’re not sure what’s what, but we’re hearing from the #Dancevine via “a very good source” that the new judge replacement on Dancing With The Stars is going to be Michael Wentink from South Africa. Also, the judge who is being replaced is not Len Goodman like many suspected, but, Bruno Tonioli instead. To read about Michael Wentink and his dance history, see this link. As said, we’re not sure what’s up, so take this news for what you will. Also, we’ve never used this source before, but, it seems reliable. ETA: Heidi here to say…is it possible that both Len and Bruno are being replaced?? We’re not sure…just reporting what we’ve heard. 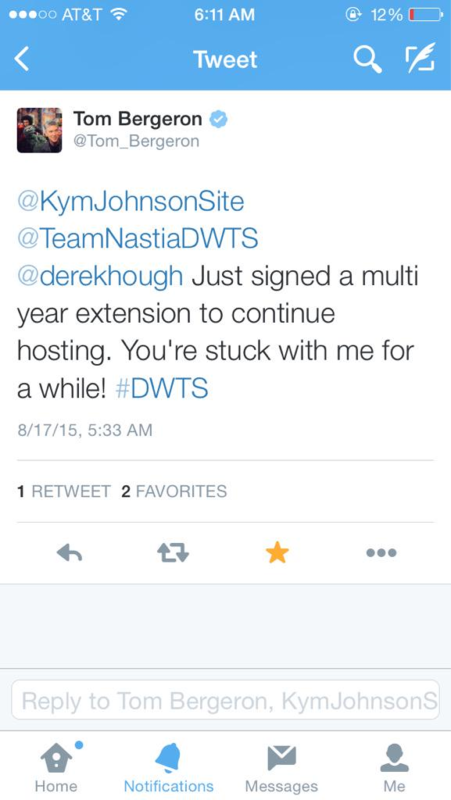 Conflicting Schedule, Will Kim Johnson Dance In Dancing With The Stars Season 21? As you know, Kym Johnson is currently judging the Australian version of Dancing With The Stars. According to the Herald Sun, Kym might not be able to dance in the US version of Dancing With The Stars since the grand final date for Dancing With The Stars Australia is “poised to clash” with the premiere of our version of Dancing With The Stars. Below is more on this issue…. 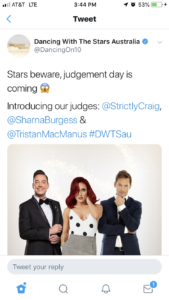 A Seven spokeswoman confirmed the potential problem, with this year’s DWTS Australia grand final reportedly slated for September 13 — just as the US program gets dancing again. But with some clever juggling and frequent flyer miles, Johnson could potentially do both — rehearsing routines here with any new partner, who would have to fly to Australia for the final two weeks of the local show; before they would both then be required to fly back to Los Angeles the morning after the Seven series signs off. “If we find ourselves in this dilemma, there’s always a way to work things out. And we would because Kym’s part of the (Channel 7) family,” the publicist said. It’s not unprecedented for a celebrity dancer to fly-in, fly-out for the US show, with Emmy-nominated choreographer Derek Hough jetting between LA and his starring role on Broadway in Radio City’s Spring Spectacular earlier this year. More at the Herald Sun. So, what do you think? Will Kym be able to handle such a feat? I think it would be really hard. I wouldn’t be surprised if she skips our version this time. Just a little Kym Johnson update!! The premiere for the Australian version of Dancing With The Stars will take place Tuesday. She talks all about how she’s ready to judge in this new interview below! You can also see a new beautiful promo shot of her at this link. She’s going to make a great judge. Good luck Kym!! Random DWTS Trivia: Thor Does the Samba???!! 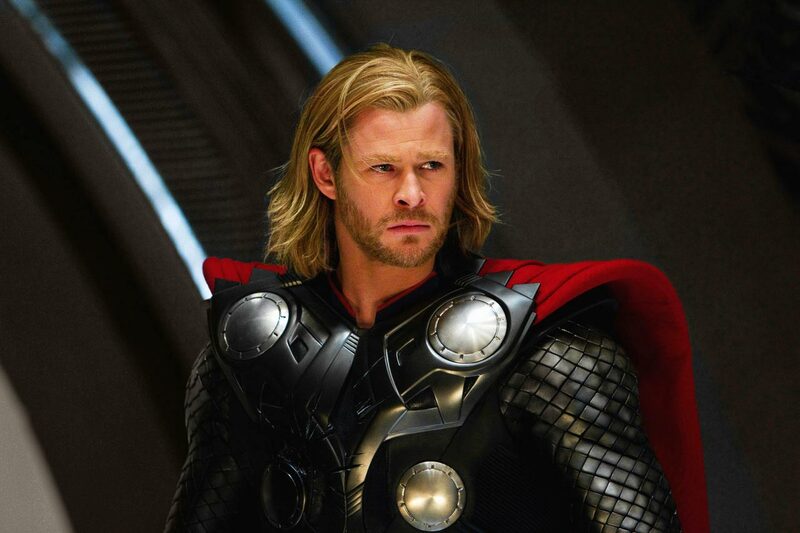 Yes, chirren, that is none other than Chris Hemsworth – probably best known Stateside as Thor. Samba-ing his very toned tush to “Jump in the Line (Shake Senora)” by Harry Belafonte. I think my ovaries just exploded. Who would have thought that 5 years later, he’d be making hearts palpitate on the silver screen…as the Norse god of Thunder?